Have you ever volunteered as a PT in another country? Do you hope to one day? Today, Morgan Denny of STAND Haiti is back with a guest post addressing a few mistakes for PTs to avoid when treating abroad. But first, take a second to consider backing STAND’s awesome kickstarter campaign to provide orthopedic healthcare in Haiti! It has taken me years of traveling and treating patients in Haiti to come to this realization, but all you have to do is read on in order to avoid some of the most common mistakes made treating abroad! Step one: Apply generous amounts of humility and rub in thoroughly. Many of you are familiar with what I would describe as “The Doctor Complex.” The idea that medical professionals know everything and are always right is ingrained in our western societies. And to some extent, this is great! It helps keep patients consistent with treatments, engaged in healing strategies, and believing that what they’re doing will help them (the chances that it will are dramatically better when they think that it will!). But we, as medical providers, have to be careful not to let this mentality go to our heads, particularly when treating abroad. When PTs step across country borders, they often give patients what they, as clinicians, think that patients need, instead of what the patients think they need. 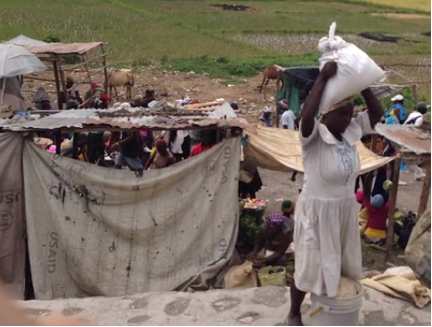 For example, a farmer in Haiti may want to decrease his low back pain in order to continue to work and feed his family. He may not be concerned about the details of his instability at L5, below-knee amputation, or kyphotic posture! As Doctors of Physical Therapy, we know a lot! And when treating within our own cultural norm, we can assume many things about people’s lives and attitudes regarding pain and disability. But once we take steps into the unknown, there are assumptions that we make unknowingly that can affect our treatment strategies. We need to step back (not across borders necessarily) and ascertain that we are addressing the actual dysfunction with which the patient is concerned. To piggyback on ideas associated with The Doctor Complex, clinicians from westernized societies seem to assume that their way of life and information is superior to that of the country in which they are treating. It’s easy to see where this comes from; as you have traveled long distances in order to help those “less fortunate” who clearly lack the service that you have come to provide. Of course you know best… But check yourself before you wreck yourself! This attitude will have you trying to pound a square peg into a round hole over and over again. Let’s bring our farmer back into the picture, the one who wants to decrease his low back pain. Noting that he has a BK amputation and uses a walking stick to get around, your natural assumption is that a prosthetic leg would benefit him more than anything. Clearly this will take a load off of his lumbar region and decrease his energy output getting around. It seems like an obvious answer, unless you look closer. Until you know the fully flexed position this man spends his days in, ask him about cultural thoughts surrounding the use of prosthetic limbs and disability, or experience how hot it is to work outside with a gel liner around your residual limb, you will never treat this man effectively. With your humility salve soaking in, I would like to suggest that one of the best ways to check your treatment’s effectiveness is to pay attention to your outcomes. When treating in Haiti, we will often see a patient only once. That’s right, no 2x/week for 4-6 week orders here folks. With this knowledge comes a want to do everything possible for them (and that bit is good). But sometimes in these scenarios clinicians don’t carefully check to see if they’ve accomplished what they set out to accomplish. If we don’t check to see that our farmer has less pain when he bends forward post treatment, then how do we know if what we’re doing is making a difference? How can we begin to make those assumptions about effectiveness if we don’t know when we’re NOT effective? There are many big pictures that we will never see when simply visiting for a week or two and treating from sunrise to sunset. But in order to truly treat like the rockstar PTs that we are, we need to ask questions. Even the hard ones. When you begin to understand your surroundings and how people operate within them, then your treatments will affect people at levels you never knew possible!